My son (5) is a huge fan of Psy and his song Gangnam Style. Occasionally we have to suffer hours and hours of listening to the song when driving in the car. To add insult to injury I am usually serving as a back bench iPhone holder so that my son can watch the video on YouTube. One time when he suggested another Gangnam Style session at home I asked him to PLEASE chose different music. Honeypie as he is he asked me to name my favourite song. This simple question lead to a funny and also touching conversation about life and death. How come? The song that sprang to my mind was my favourite running song: Don't stop me now by Queen. They have their own YouTube Channel and to my great pleasure my son loved the song as much as I do. He was particularly fascinated by Freddie Mercury. "What is the singer's name? ", he asked and repeated after me "Freedi Merkuuri". "He's a good singer!". "Yes, he is", I confirmed. "Is he still alive?". I have no idea where that question came from. I told him that he is dead. "Was he old?". Mmmhm. I don't think so, a couple of years older than I am I think. I said no. "Why did he die?". Should I really tell the truth? "He was sick, he had HIV, AIDS. This causes an auto-immune deficiency and in the end his body could no longer fight against viruses." Silence. A pause. "Why did he leave his songs? ", was his next question. Should I go into the particulars of the Music business? I decided against it and instead said: "Because Freddie Mercury was a nice and generous man." Silence. A pause. "Which other singers are already dead?". Oh dear, what started as a harmless music session turned rather morbid now. We watches Videos of John Lennon (me: "shot by an evil man". Son: "In Zurich?" and visibly relieved when I said no), Janis Joplin (to boost the female quota, a first attempt at a talk about drug abuse, my son is not really interested: "she screams really loudly", not quite his style apparently), Johnny Cash (in the video to the song "Hurt" and visibly of an advanced age, my son does not even ask the cause of death) and last but not least Elvis. I could not remember Elvis' cause of death but when my son asked I remembered seeing a biopic where they talked about fried banana and chocolate cream sandwiches. "his heart was broken", was my medically inadequate response. Silence. A pause. No further questions. We watched a couple of other videos, ended with a last unavoidable Gangnam Style video and then sat down at the table to do some drawings. Out of the blue he said: "I have an idea. If grandma's or grandpa's heart is broken we just remove it and put in a new one." He Looks at me proudly. "That is a good idea, isn't it?". "Yes", I said. "A very good idea". He is only 5 years old but he must have caught the sceptical undertone in my response and continued: "Can we do that? ", he asked reluctantly. "Yes, that is possible", I say decidedly. "It needs a good team of doctors and then it is possible". He is beaming, "Well, I had a good idea!". I will talk to him about the tricky business of transplanting organs another day. But I had another idea and watched one more video with him. Of the Swiss band Zuri West and their iconic song "Ich schänke Dir mis Härz" which means "I offer you my heart". And that is how I would like to handle organ donation personally, I will give you my heart. I carry a corresponding organ donor card with me. Organ Donor Day for one serves the purpose of reminding people that there is a serious lack in donors but also serves the purpose of encouraging people to make an informed decision themselves so that others do not have to make that decision for them later on. I hope this blog posts leads some of you to that very personal question and decision making process. Information on organ donation can be found on the web, for example the Swiss platform www.transplantinfo.ch or the international site www.irodat.org. Mind you, there is no right or wrong decision here, only your personal decision. I myself agree with my son. It is a good idea. And - bridging to the food theme of this blog - my personal decision is summarized by the title of one of my favourite cookbooks: "Nose to Tail" by Fergus Henderson. You can have my all (when I'm dead, of course). I had actually planned to create a recipe with a cow's heart but as it turns out, hearts of cows are also not easy to come by. 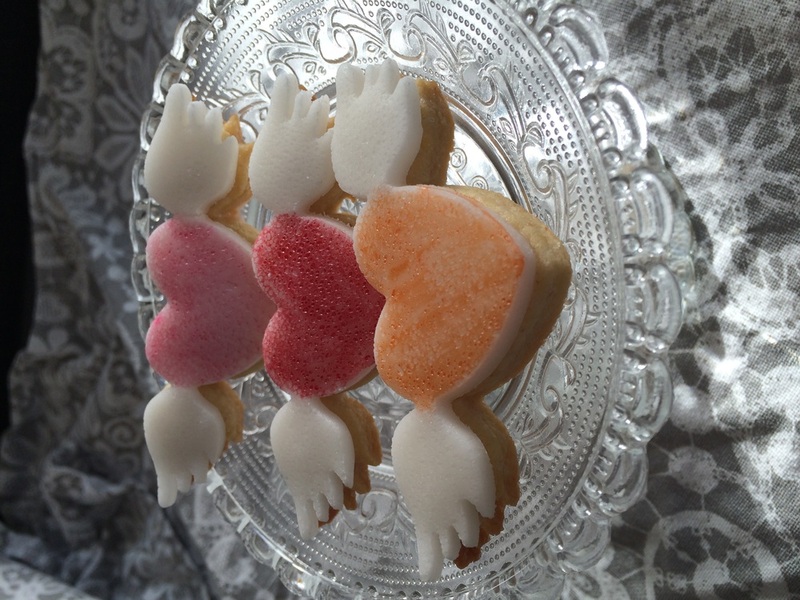 So I ended up making heart shaped biscuits (recipe). And in the beginning I also promised a Give-Away. 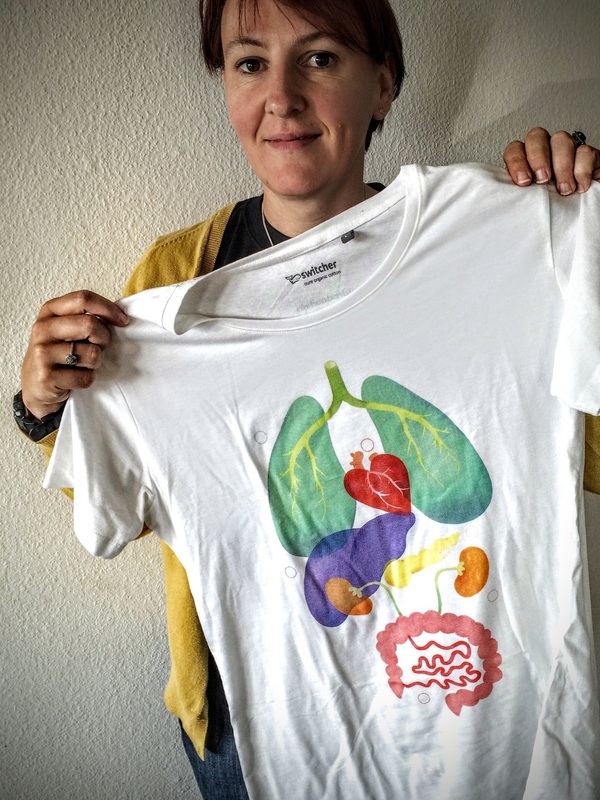 Because of my committment to blog about Organ Donor Day I received a very cool limited edition (250 pieces) T-Shirt (Ladies, Size L). Write me a commentary below, tag me in a tweet (@mnamnamblog), a Facebook post, an Instagram post (@mnamnam) or drop me an E-Mail (see contact), with your favourite song with a heart (or other organ) theme and that T-Shirt could be yours. Deadline: Monday, September 21, 23:59. I will then decide who to give it to. That T-Shirt could be your!